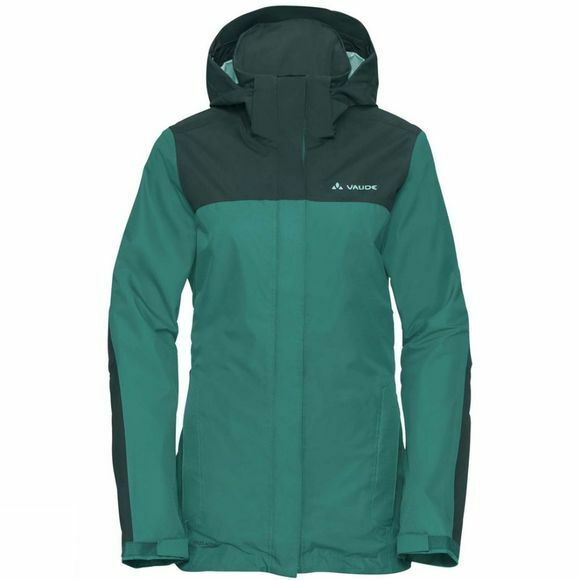 The Womens Escape Pro II Jacket from Vaude allows you to stay dry on the go: performance-fit rain jacket for endeavors in the mountains. 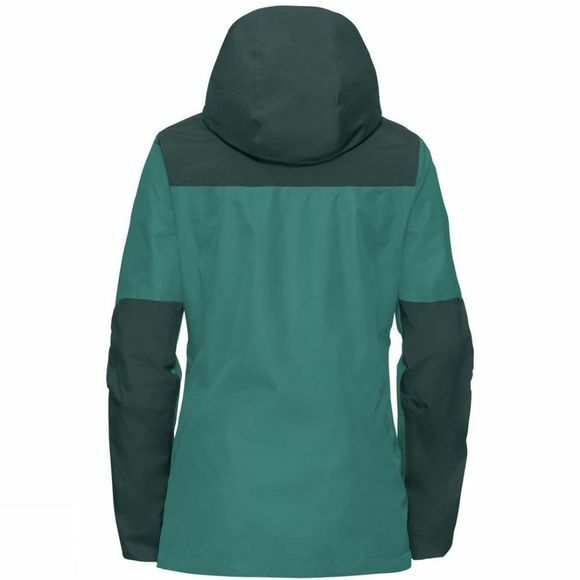 Wide range of use thanks to detachable hood and the option of zipping in a fleece jacket (for example, the Smaland jacket). You can always take it along, just pack it up small and stash it in its own pocket. This product is made with Eco Finish, an eco-friendly, fluorocarbon-free, water-repellent finish (PFC-free). The Vaude Green Shape label stands for environmentally friendly, functional products made from sustainable materials.